Stewardess: Would you like some TWA Orange Juice, or some TWA Coffee? Passenger: No thanks. But I wouldn’t mind some of your TWA Tea. The ultimate in-flight/ in-house [or in-bed] entertaining for the retro set. 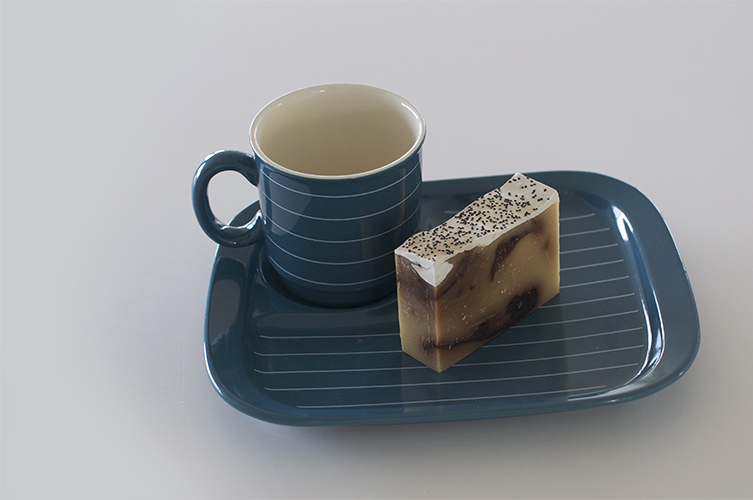 A perfect cup [250mls] and über cool sandwich plate in glossy pinstriped super sturdy ironstone. Made in New Zealand. Chai Time? 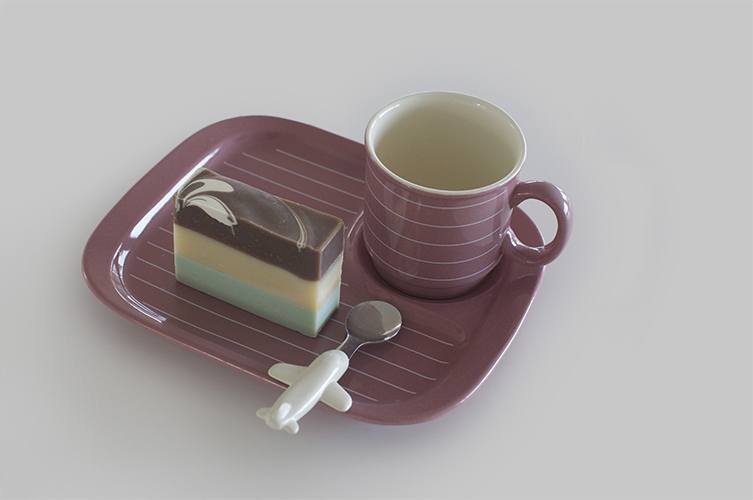 Soap Bar cakes. I have some in stock. Beautiful and fat free. Unreal! What more could you want?